How could a month of young adult fiction be complete without an actual young adult writer? I figured there was no better way to find a good young adult novel then to ask someone who was inspired to write the genre. Happily, Sarah Scheele, author of Facets of Fantasy, now in collector’s edition, agreed to come here and review a pick of her own. It’s rare to find a Christian novel that actually explores the central ideas and storylines of the faith. 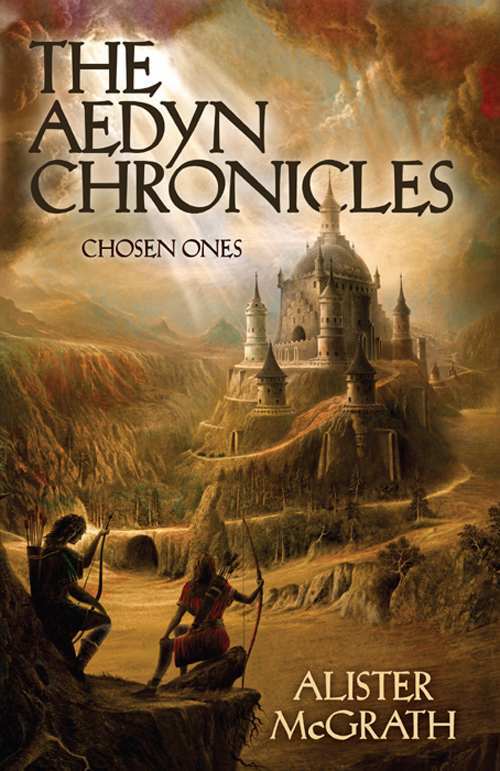 Chosen Ones, first in a series by British theologian Alister McGrath, resembles the Narnia books in this respect. It is not fanfiction, but does work closely in the tradition of C. S. Lewis, using a juvenile fantasy story to teach object lessons about theology. Two British teens, Peter and Julia, visit their grandparents in Oxford during the summer. They are drawn by a magical garden into a country called Aedyn (a respelling of Eden), where they find themselves hailed as the deliverers of an enslaved people. They must overcome ignorance, personal doubts, and incompetence to end the oppressive rule of the three lords of Aedyn. I’m impressed by this new series. The storytelling is not perfect—Peter is appallingly stupid, the battle at the end is dull and vague, and the original arrival of evil in Aedyn never fully explained. Most readers will also be struck by the noticeable echoes of Narnia in the early chapters. But the effortless narrative is a breath of fresh air after the stilted, slipshod prose of most novels, and the ideas are expressed with remarkable clarity and force. I particularly enjoyed the slams at “revisionist” history, and the reminder of why rituals like Passover and Communion are so important. I’m eager to see where the next two books take the world of Aedyn. Thanks so much to Sarah for sharing her time with us. I’m glad she chose to give this month a fantasy angle, but then Sarah is a master of fantasy. Her five novella collection covers different subgenres or settings of the fantasy world. I highly recommend you go grab a copy of the Collector’s Edition of Facet’s of Fantasy, whether you’re new to fantasy or a long time lover. And if you’re an educator, I’d definitely recommend it as a good tool for covering different types of fantasy writing. Please visit her website and follow her blog for more reviews of Sarah’s favorite young adult novels and updates on her future projects. < Previous I had to pick it up and then I couldn’t put it down. Next > What’s coming up.